Links and documents from the library orientation for your class - to help you find sources for your short story assignment and general research paper. * What? 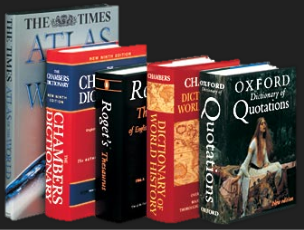 Reference materials (encyclopedias, dictionaries, handbooks, atlases, etc.) are great sources to start your research—or to supplement it at any stage. * Why? They provide background information and topical overviews. Your professor may allow you to cite a subject-specific reference source. Your search terms—key words or phrases—and how you combine them, are the first step in searching for the results you want. The * picks up alternate endings of the word. This search is conduced in the Advanced Search screen. Location is limited to Dale Mabry for any physical, hard-copy books. Enclosing two or more words in "quotation marks" searches words that belong together, in the order shown, as a phrase. Adding the keyword criticism searches materials that discuss the story, rather than materials that contain the text of the story itself. Individual databases may provide a smaller "universe" than the all-in-one library catalog search that brings up items in the library along with electronic materials. Search your topic in these databases for online sources such as articles, streaming videos, and more. Google Scholar (Google) Description of this database.